Buford Betty: Need some boots for fall? 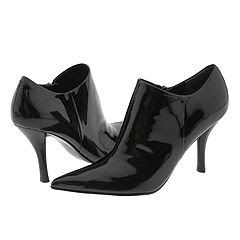 If you're a Nine West fan, hop on over to 6pm.com for a killer sale on boots and other Nine West shoes and accessories. You should know that I don't use the term "killer" loosely. All items are only $29.95 each! My friend Lucky went nuts and got 5 pairs. There's a HUGE selection, so go get you some! Update (9/11/08): Prices changed some on these sale shoes. Instead of all being $29.95, they now range from $25.51 to $39.95 as of today. Still some great deals... happy shopping!